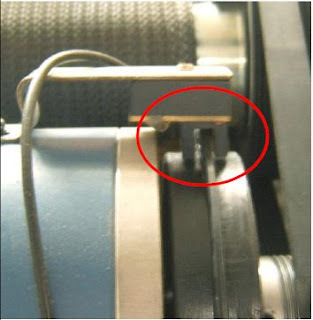 The alternative to the magnetic (reed) sensor on treadmills is the optical sensor. In this case the sensor consists of two LEDs (one emitter and one receiver) that measure the speed of the treadmill. Contact us for information, we are able to supply sensors for the most popular brands in the market including home fitness Best Fitness, Premierfit, BodyCraft, Bodymax, CV Fitness, Powerline, Powersport, Aerobic, AFG, Ajay, Avita, Bodyguard, Body Science, Challenger, Coursetter, DP Concourse, Everyoung, Essential, Golds Gym, Health Rider, Health Trainer, Hidden Grove, Hotel Fitness, Lamar, Marathon, New Balance, Tectrix Cybex, Tomahawk, Trackmaster, Treadclimber, Trotter Cybex, Universal, York, Technofit, Raleigh Power Runner, Trimmaster, Trimline, and many more.